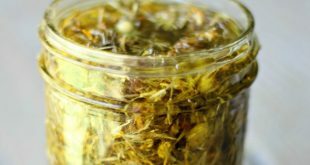 Say bye bye to your seasonal allergy symptoms with this natural, Homemade Seasonal Allergy Nose Balm. This simple DIY recipe really works and works quickly! 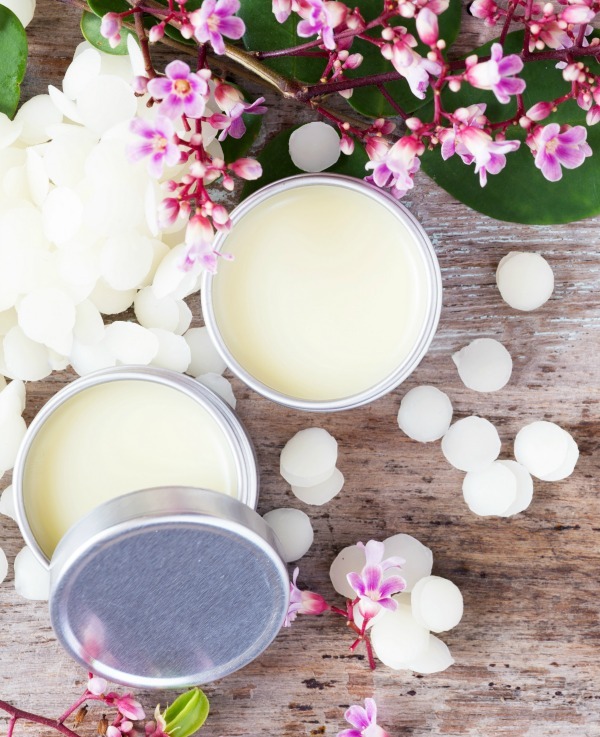 I’m so excited to share with you my latest discovery: a completely natural, Homemade Seasonal Allergy Nose Balm…that truly works and works pretty darn quickly for those pesky seasonal allergies. And it’s SO simple to make! 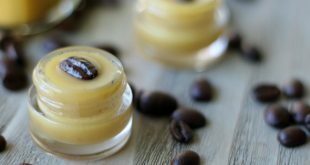 Basically, you apply this homemade seasonal allergy nose balm to the base of your nose and your nostrils to “catch” all the stuff you don’t want entering your nose. You know…. stuff like pollen, dust, mold, dander and other allergens. The nose balm traps those allergens before they ever have a chance to enter the nasal passageways. 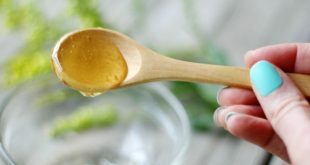 And by doing so, this diy nose balm relieves allergy and hayfever symptoms! Less pollen and other allergens means less sneezing, watery nose, itchy eyes, etc. Clinical studies show that nose balms really do work at reducing and eliminating allergy symptoms. 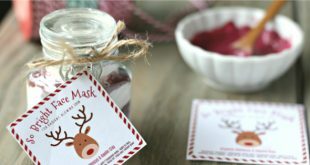 And my friends and family agree…this homemade seasonal allergy nose balm really does work! Thankfully, I don’t have any allergies to deal with anymore. 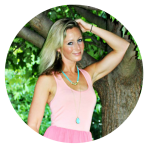 I think mostly because I’ve been really vigilant about boosting my immune system and liver function before allergy season hits — which is key for getting to the root of allergies (keep an eye out for my next post…it’s everything I do so I don’t get allergies in the first place). But many in my family do deal with seasonal allergies and they say this nose balm has been working wonders for them. They wanted me to be sure to tell you that they also apply this nose balm on their cheeks and temples each morning and before bed and they wake up with no congestion! Wow! That’s so great to hear that it works so well! And this DIY Nose Balm is SO simple to make! 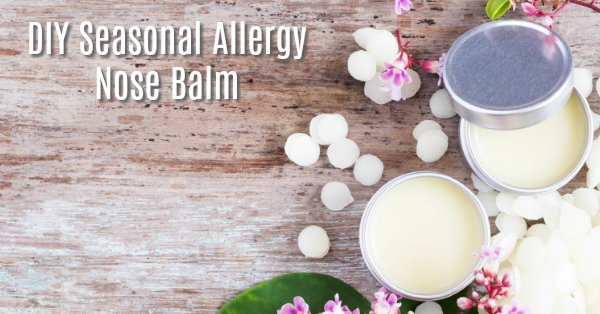 It simply contains beeswax, coconut oil and a few natural anti-histamine essential oils. Beeswax conditions the skin and provides a protective barrier from pollen and other allergens. You probably already know how nourishing coconut oil is for the skin. Coconut oil is very soothing and healing. Especially to red, sore noses! The specific essential oils of lemon, lavender and peppermint are natural antihistamines and have anti-inflammatory properties so they are perfect for seasonal allergies. This specific blend of oils is well known to work wonders for all allergy symptoms, but especially sneezing, runny nose, and watery eyes. And it works very quickly! FYI: Leave out the peppermint essential oil if you’re pregnant or using it for kids under 6. And be sure to use steam-distilled lemon essential oil since we’re using this nose balm on our face. Unlike cold-pressed lemon essential oil which may cause burning if you go out in the sun, steam distilled is not photo-sensitive so you don’t have to worry about that! I use THIS steam-distilled lemon essential oil. So are you ready to make this with me?! Find the easy recipe below and say bye-bye to your seasonal allergy symptoms! 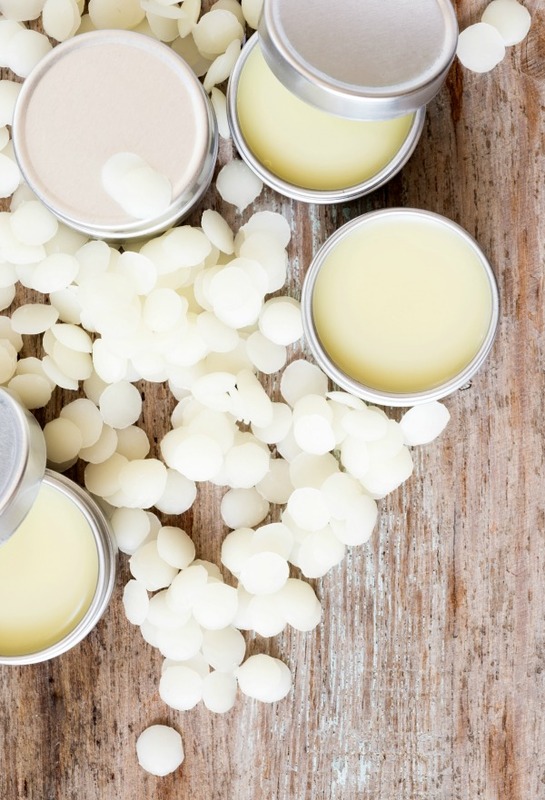 This homemade seasonal allergy nose balm really does work for those pesky allergies! Place a glass jar in the water and add your beeswax to the jar. Allow the beeswax to melt - this takes 15 or more minutes. Side note: Since anything with beeswax can be difficult to clean, I have a designated mason jar for all my beeswax projects. I also use a paper straw for stirring so I don't have to clean any beeswax coated utensils. Once the beeswax has melted, add the coconut oil and allow the mixture to melt, stirring occasionally. Once everything is melted and liquid, remove the jar from heat and add in your lemon, lavender and peppermint essential oils. Pour liquid into a tin or jar of choice and let harden, about 1 hour. This recipe makes about 1 ounce so I like using THESE tins. This recipe fills one of those tins. Apply the a bit of the nose balm to the base of your nose and nostrils throughout the day or whenever you need fast relief. You can also apply it to your cheeks and temples for further relief for itchy, watery eyes and sinus allergies. 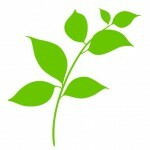 Should all 3 of the essential oils be steam-distilled? Or just the lemon? Will have to try this out as soon as possible. Thanks for the share! I have severe allergies during this season, this looks like a great solution to try. Hope it can help you, Khloe! My dad’s had his nose allergy problem for a long time and nothing works. I’m glad to find your lovely recipe and I think EOs are much better than those chemical medicines. Hope it’ll work and make him better. Thank you very much, Kelly! I hope it works well for your dad, Debby! Blessings to you both! I cant wait to try this for my husband, son and MIL!!!! Thanks for sharing! When making DIY skincare recipes I always include lavender essential oil in it. I’m glad that your DIY nose balm includes lavender that made me interested on this recipe. I will try this one out. Thanks. I am trying all natural remedies for different issues ranging from ticks to allergies in attempt to reduce the amouuts of harsh chemicals that are used aroung and in my house. Thank you for this remedy. I plan on trying it on myself and share it with my family and friends. I am so happy I came across your site! I can’t wait to try your nose balm. I have sever allergies to animals particularly dogs and I suffer every time I go to anyone’s home that has a dog. I’m looking forward to trying it at Thanksgiving. I hope I am clear of aneezing and blowing my nose to enjoy being with family! Will let you know!! Hope it works well for you, Cristina! Happy Thanksgiving to you! Will definitely try this. Another wonderful benefits we get from essential oils. thanks! Would this help someone with a cold? Wondering what else to use if someone is allergic to bees? Shea butter?